Did you know that putting in shower subway tiles can actually make your shower and your entire bathroom feel more comforting and inviting? 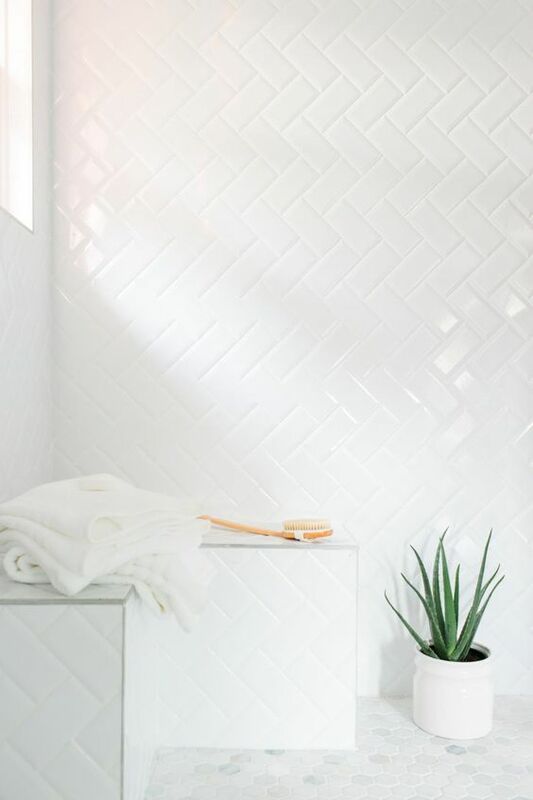 Those subway tiles can be any color and any style that you want and before you know it they’re going to give you an entirely different look to your bathroom. What’s even better is they’re really easy to install. There are all different kinds of tiles out there that you can choose from and that’s part of their appeal. A lot of people like the idea of being able to customize their bathroom to look just the way they want. With so many different colors and styles to choose from, tiles do just that. All you have to do is take a look around the store and you’ll see what’s available. Subway tiles are, by definition, longer and thinner than other tiles, but they still come in other options as well. You can use them just about anywhere too. 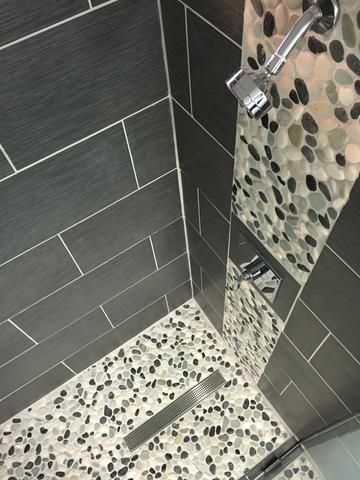 These tiles work great in your shower as a shower surround, but they also look great as a backsplash around your sink in the bathroom. You can put them as a backsplash in your kitchen or just about anywhere you want. 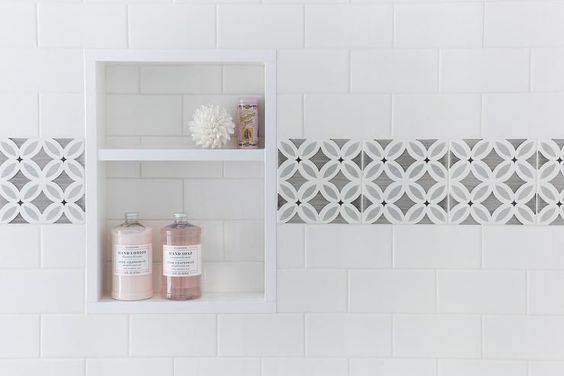 If you’re looking at subway tiles as a different way to surround your entire shower you’re going to spend a little bit of money. That’s because, even though the tiles may not be expensive, you need a lot of them. Some shower subway tiles may be .50 each or less, while others may be upwards of $2 each. But look inside your shower and think about just how many of those small subway tiles you’re going to need. 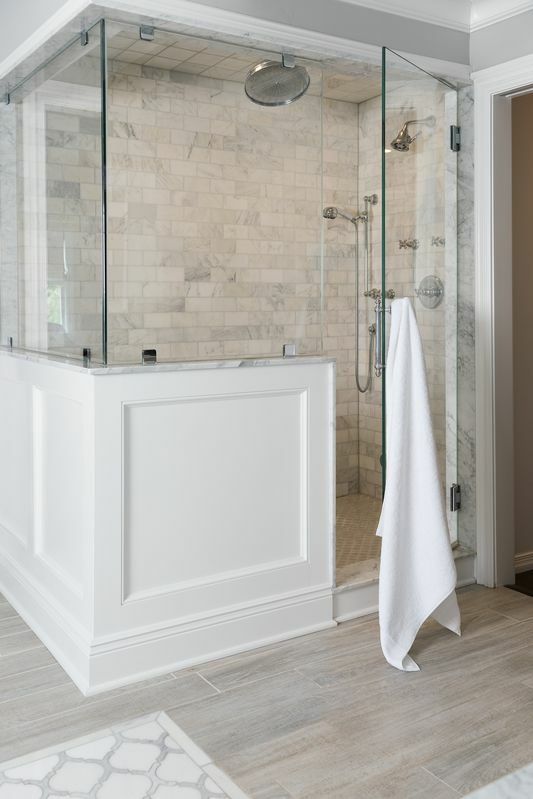 Filling an entire shower with subway tiles could cost hundreds of dollars. 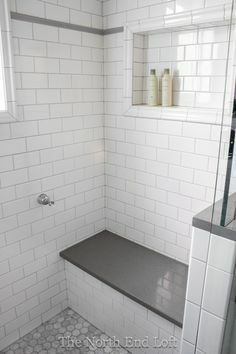 That’s why many people decide to accent their shower surround with tiles instead of using small subway tiles for the entire thing. If you’re looking for a more elaborate pattern that may be even more important. After all, the more extravagant the tiles the more expensive they’ll be. We’ve already done a lot of the hard work for you by finding several of your options. All you have to do is take a look at each of these and see what you like and what you’d like to change. You may find something that works perfectly for your bathroom and your shower or maybe something you can tweak a little to make it work. The best thing you can do is at least give this a look and give it a chance. 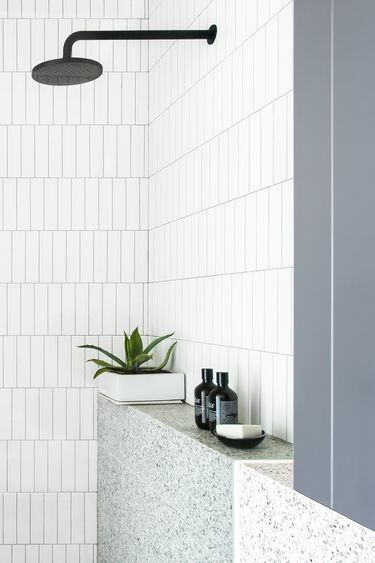 Even if you’ve never thought about shower subway tiles before, you may notice something that’s perfect. There are plenty of ways that you can turn each room of your house into your own oasis. The key is just making sure you check out the choices and then take advantage of them. There are plenty of different tiles out there, after all, so check them out. 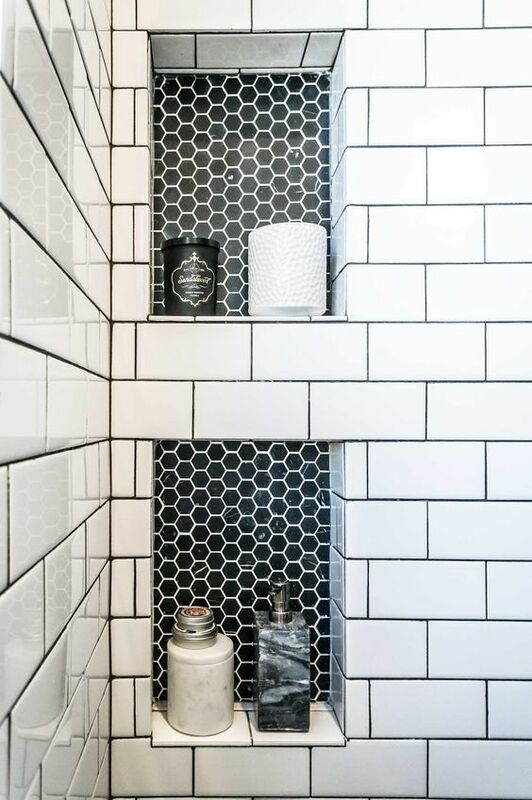 These subway tiles are all white but they surround a little bit of accent with the black honeycomb insert. It definitely creates a stylish look and draws your attention when you enter the room. These subway tiles are shiny and gray, which accents the vintage style of the cubby. You definitely get a sleek appearance and one that looks somewhat old-fashioned, in a good way. 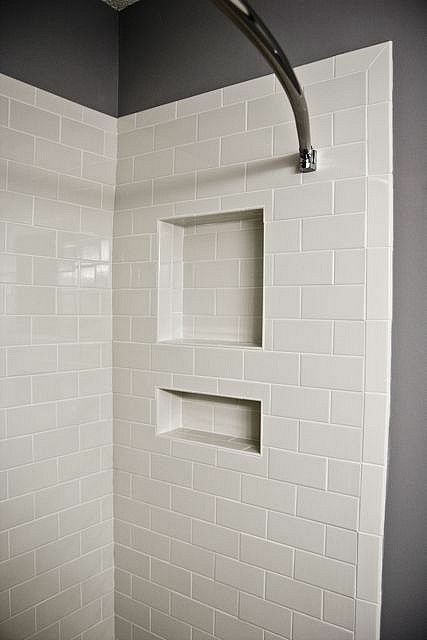 This standard white subway tile shower is accented a little with the gray throughout. It helps to add a little color and tie in the floor tiles. If you want to get a little more decoration for your shower without spending a lot this is a great way to do it. The accent tiles really add some color and make the look pop. 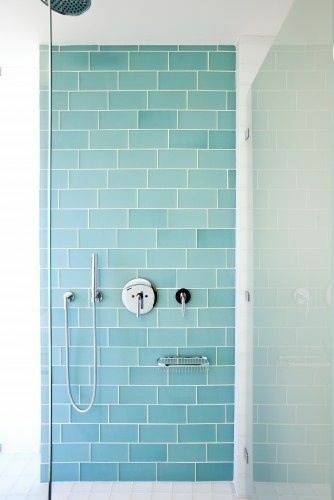 Blue glass subway tiles add some class and some color at the same time. These are definitely going to add color and design elements to your room. 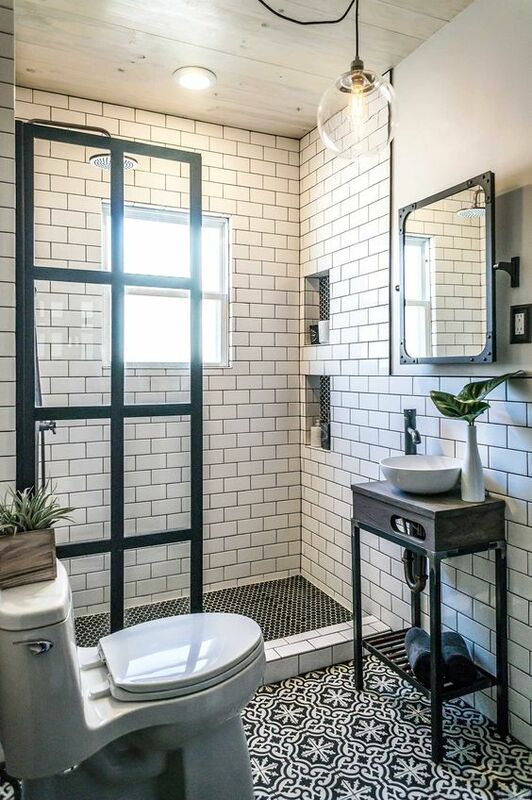 In this bathroom you’re mixing plain white subway tiles with marble mosaic pieces. It definitely makes the shower area shine and with just a hint of color. The shower subway tiles in this room are all tilted a little to give it a different look. It’s just a little twist on the basic looking shower stall. 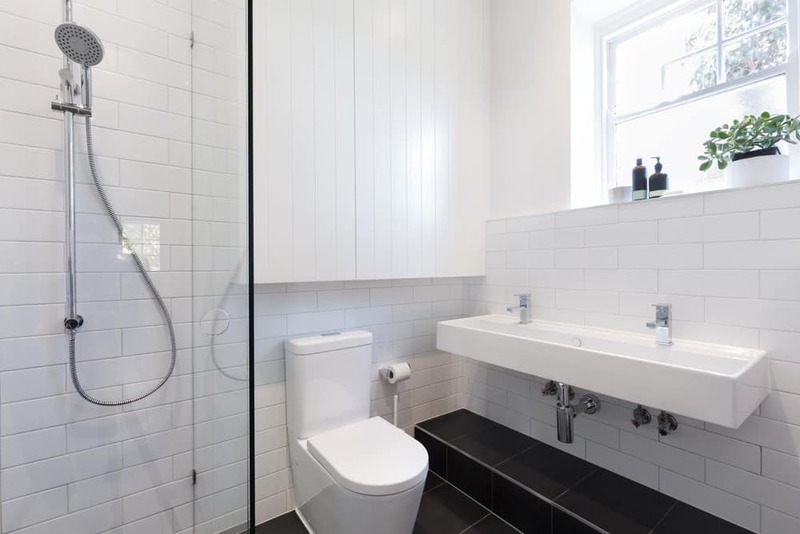 In this bathroom you have white subway tiles but you also have deep black grout. 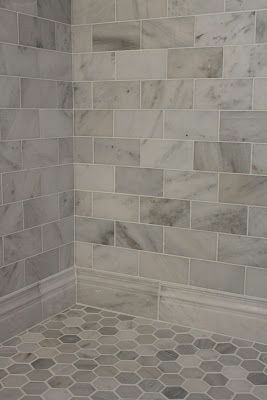 That helps to draw your attention to the grout lines, which is another way of adding some accent. Here there’s no grout lines and you can barely see from one tile to the next. 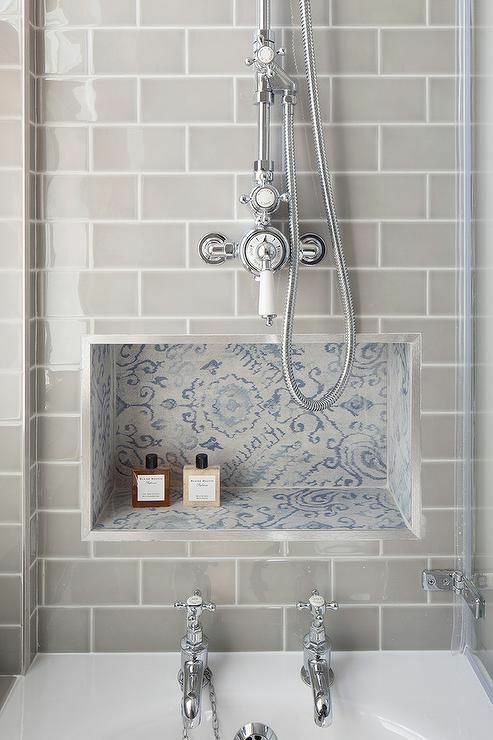 If you want to keep it simple this is how you can do it, without drawing attention to your shower. The black stone style subway tiles in this shower definitely compliment the river stones that go with it. It’s a more elegant style, especially with the stone inlay in the floors. These tiles run perpendicular to the floor instead of parallel, which creates an entirely different dynamic. It definitely doesn’t look like anything you’ve probably seen before. 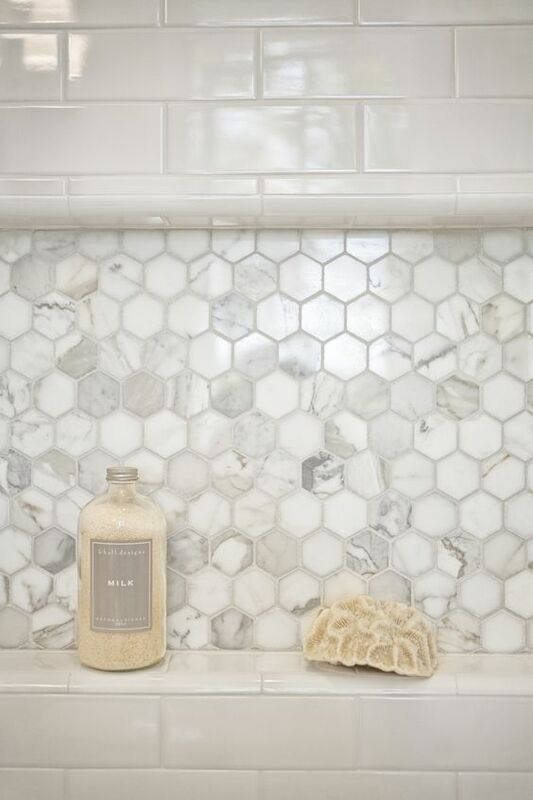 These marble tiles work great with the honeycomb style tiles on the floor. All of them are the same style and colors, but with different shapes that help draw your attention. 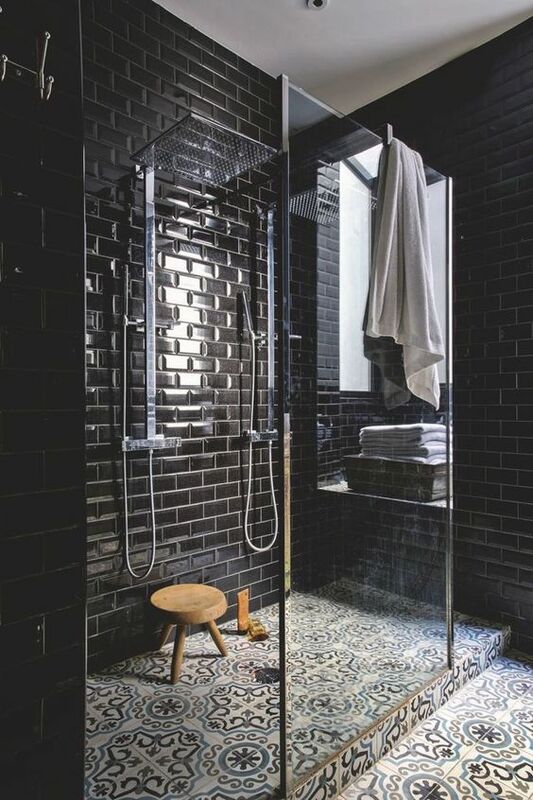 This black shower is definitely something different. The flooring is all that gives you color in the dark room, which helps lend a style of its own. The marble tiles here extend all the way up the walls and give just a hint of color. It works well that they’re in shades of tan and gray with the white surround to match.